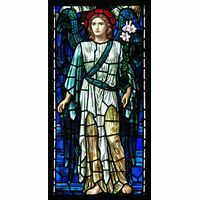 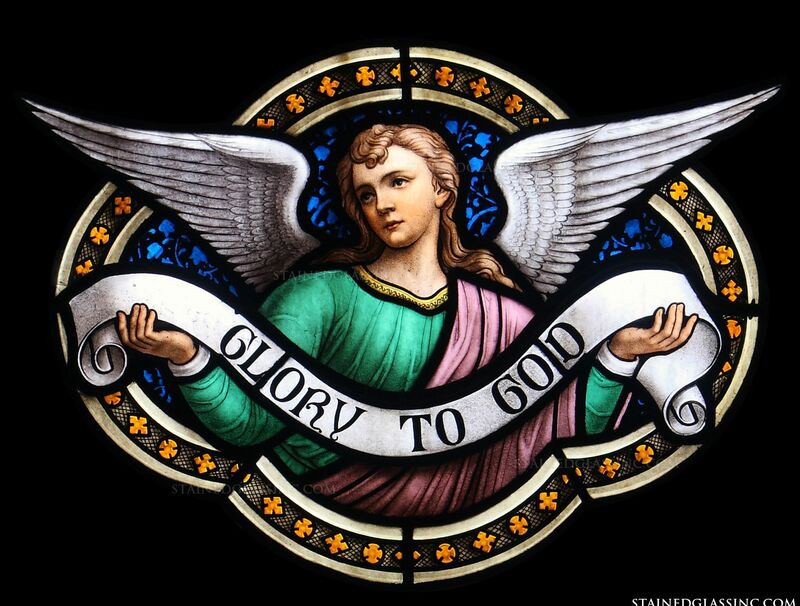 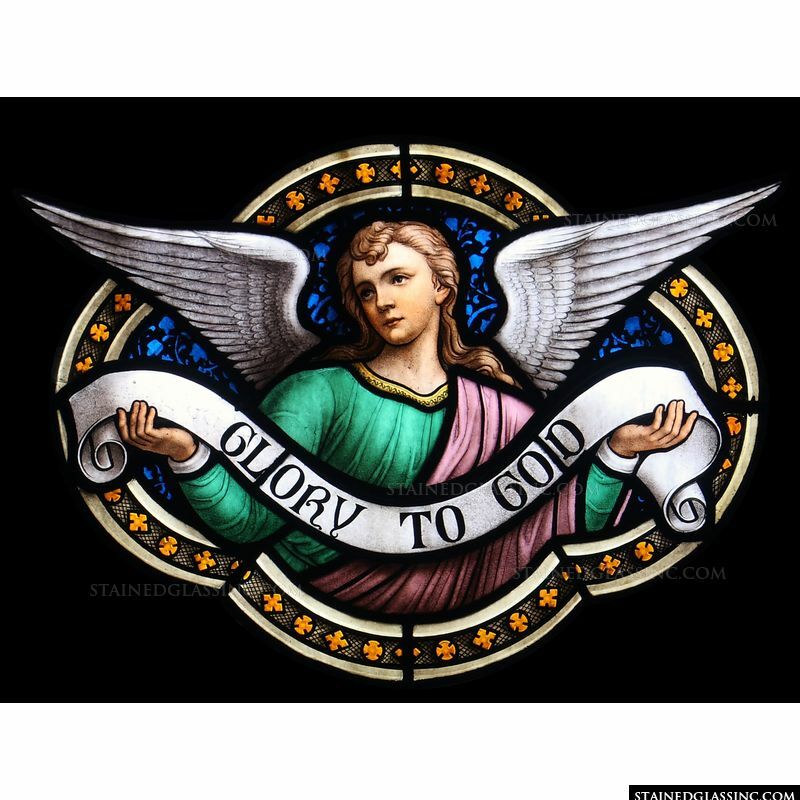 Stained glass window of an angel holding the banner that says “Glory to God”. 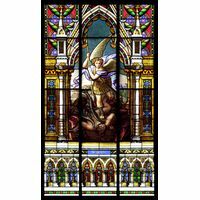 Can be used as a standalone window or as part of a larger window assembly. 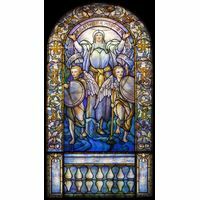 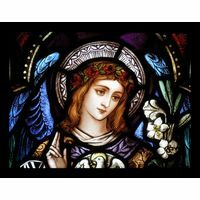 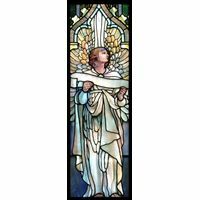 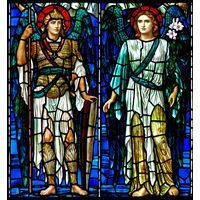 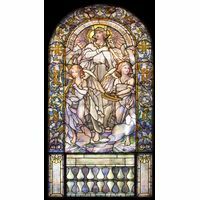 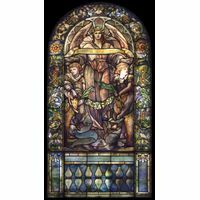 If you have questions call us, we can help you design the perfect window for your church or chapel.